If you are in the business of selling products (and sometimes services) it may make sense for you to setup an ecommerce store in order to sell those products or services online. 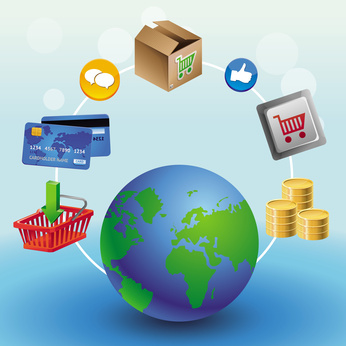 We can help you setup an ecommerce site, and tailor it for your products or services. As all our sites include a content management system, you will be able to make changes to your product range including adding, removing or modifying the products or their prices. We would also set it up with a full integrated shopping cart such that your customers can view the products, select what they want to purchase, including making delivery method choices if available and pay for it via a variety of methods. There are many ways of accepting payments online, whether it is by credit card, debit card, paypal, google checkout and others, but we can advise you on your options before you decide which you wish to use. We can build your sites for a range of budgets, from basic product selling sites to ones with lots of functionality similar to what you might see on some of the really big online stores.